Dr. Sara Samii completed her Bachelors of Science degree majoring in General Biology at the University of British Columbia. With her strong passion for health care, Dr. Samii went on to obtain a Bachelor of Vision Science, as well as her Doctor of Optometry degree at Nova Southeastern University in Fort Lauderdale, Florida, receiving honours in all years of her clinical training. She went on to complete an Ocular disease Externship at the Fort Lauderdale Eye Institute, and Eye Centres of South Florida where she received extensive training from Ophthalmologists in treatment and management of ocular diseases, as well as co-management of LASIK refractive surgery and cataract care. Since her clinical training, she has acquired experience and developed special interest in ocular disease and specialty contact lens fitting. Dr. Samii is very passionate about providing comprehensive eye care to those less fortunate in countries where such care is a luxury. She was able to volunteer and gain invaluable clinical experience in Mexico in 2013; that experience was so invaluable that she plans to continue providing charitable care in the future. As an active member in her community and professional networks, Dr. Samii is always seeking new advancements to better serve her patients. She is an active member of the Canadian Association of Optometrists, the College of Optometrists of Ontario, and the Ontario Association of Optometrists. She is fluent in English and Farsi and can perform eye examinations in both languages. Her interests outside of the office include keeping physically fit and travelling. 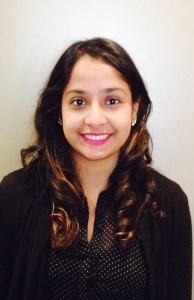 Dr. Anu Kajla graduated from the New England College of Optometry in Boston in 2012. She previously received her Honours Bachelor of Science from the University of Waterloo. Her clinical training has ranged from working in a Veterans Affair Hospital, where she treated and managed ocular disease, to working in a community health center, and performing specialty contact lens fittings and pediatric vision training. Dr. Kajla practiced for three years in Northern British Columbia in a rural primary care setting. Throughout her years in B.C. she gained much experience in the co-management of refractive surgery and corneal crosslinking procedures, as well as treatment of emergency cases. She is fluent in English and Punjabi and can perform eye examinations in both languages. Dr. Kajla also has a strong passion for community outreach including active participation in occupational safety demostrations, pediatric seminars, and performing screenings for Syrian refugees. In her spare time, she enjoys rock climbing, camping, hiking, and spending time outdoors. Dr. Abdullah has been practicing optometry in both Canada and the United Kingdom and has conducted clinical rotations in primary care, pediatrics, ocular disease, and binocular vision. Dr. Abdullah completed her degree in Optometry from Aston University in the UK and has completed externship rotations at Western Eye Hospital in London, UK. 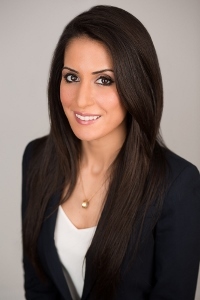 Dr. Abdullah has a passion for diagnosis and management of ocular disease and is dedicated to providing the highest level of care to her patients. Dr. Sarah Tanveer earned her undergraduate degree, Honours Bachelor of Science, with a major in Life Sciences, from McMaster University. She then received her Doctorate of Optometry from the New England College of Optometry in Boston, MA, where she was awarded the Eschenbach Award for Excellence in Low Vision. Dr. Tanveer has obtained clinical experience in managing and treating ocular diseases, including glaucoma, diabetic retinopathy, and macular degeneration through externships in Boston, MA at Dorchester Community Health Center and Veteran’s Affairs Hospital in Lowell, MA. Through an internship at the New England Eye Institute in Boston, MA, she had the opportunity to manage paediatric patients and traumatic brain injury patients undergoing vision therapy. 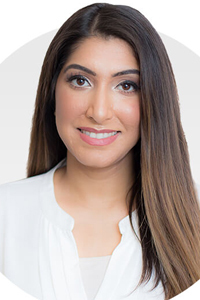 Dr. Tanveer also developed a strong interest in speciality contact lenses, dry eye and refractive/cataract surgery co-management during her clinical experience in Toronto. 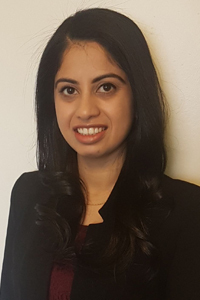 She has successfully completed both the Canadian and American National Board Examination and is certified in the use of therapeutic pharmaceutical agents. Outside of work, she enjoys spending time with family and friends, travelling, and trying new restaurants. Dr. Tanveer is fluent in both Urdu and Hindi. She is excited to be back in her home town of Toronto, welcomes patients of all ages, and looks forward to providing patients with the highest quality of Optometric care. Dr. Michelle Low was born and raised in Toronto and is humbled to be serving the city and community she loves. Dr. Low attended McMaster University on an entrance scholarship, where she completed her undergraduate degree with an Honours in Biology and a Minor in Environmental Sciences. She then went onto complete her Doctorate of Optometry in Chicago, at the Illinois College of Optometry. 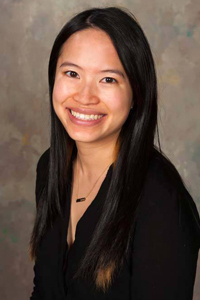 Dr. Low received clinical Honours in all her externships at the Rosenbloom Center for Low Vision and Rehabilitation, the Chicago Public Schools program, the Veterans Affairs Hospital in Connecticut, the Department of Ophthalmology and Visual Sciences in Kentucky, and the Cornea/Contact Lens department in Chicago. Dr. Low enjoys giving back and being active in her community, volunteering her time at Bridgepoint Active Healthcare Hospital, Wellspring Toronto and Gilda’s Club. When Dr. Low isn’t in the clinic, she can be found playing tennis, reading a good book, researching the next destination to travel to, and spending time with her family.